How Can I Program a Transponder Key? 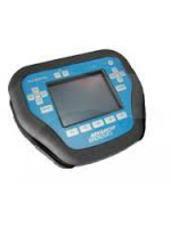 Transponder keys can be programmed to the engine of a variety of different vehicle types. These keys, also known as chip keys, electronic keys and ignition keys, are used as an extra safety and convenience measure for your car. Once programmed, the key can be used to start your car, and only programmed keys will then work. You can program your own keys as long as you have two keys that are already electronically paired with your car. Where Can I Make a Copy? Many stores like Home depot, Lowe’s, Wall mart or locksmith shop or any other hardware stores can copy or duplicate car keys. In case you have a working key, it’s always better to get a copy of the key and save the time and money when loosing a car key which usually founded in most Ford 1998 and up, most GM 2000 and up, most Chrysler 99 and up. Call a locksmith is a good solution when you lost the key and you need a mobile locksmith service to come to your location and cut you a new car key on site. Also a good reason to hire a locksmith for car keys is in case you have a chip key, also known as Transponder key, so by hiring a locksmith you can get new car key programmed on site. If you are not in rushing you can just tow the car over to the Dealer and get a key made. What Should I Do If My Key Broke Off In My Door Lock? If you break your key off in your ignition or door lock and you do have the pieces you should keep them. it will defiantly be easier to make a new key and can lower the costs. If you don't have the key pieces, its better not to try to extract the key yourself because it may cause damage the lock cylinder itself. Indianapolis Locksmith Services can help you with that. 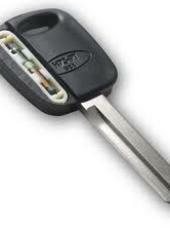 We can make lost car keys on spot fast, including Transponder / Chip keys and high security keys (laser cut keys). give us a call for any of your car locksmith needs. Why Is My Key Not Turning My Ignition Lock? A few reasons can cause your key not to turn the ignition lock. One of the most common reasons is that the lock cylinder might be filled with dirt, grime, debris, or other clogging particles. When the ignition lock cylinder filled with some kind of dirt the tumblers are not moving well inside the cylinder lock, therefore the tumblers can’t get to a flat position to allow the cylinder turn in the lock. One or more tumblers get stuck and make it impossible to turn the key. Another common reason is a bent key or jammed springs inside the cylinder lock. When a key is bent or too old, the tumblers are not fit in correctly inside the cylinder, the tumblers can’t meet the teeth on the key and that causing the key not to turn the lock. What Is Ignition Key With a Chip? 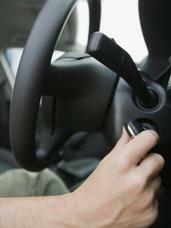 Automotive manufacturers use transponder keys, also known as chip keys, to make cars harder to steal. Chip keys have digital codes that enable them to communicate with vehicles fitted with transponder systems. Each key has a unique digital code, so you must place the right chip key in the ignition to start the car. Because the technology is sophisticated, replacing chip keys is more difficult and expensive than replacing other automotive keys. 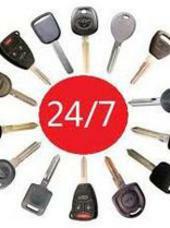 Frequently asked questions and answers about car keys, car door lock, ignition key and car locksmith services.